iFi Audio is quite unusual, the longer it is on the market, the more uncommon solutions it surprises us with. Said company’s R&D department addresses audio issues commonly known, yet rather rarely targeted. This review is about devices designed to handle some of them. 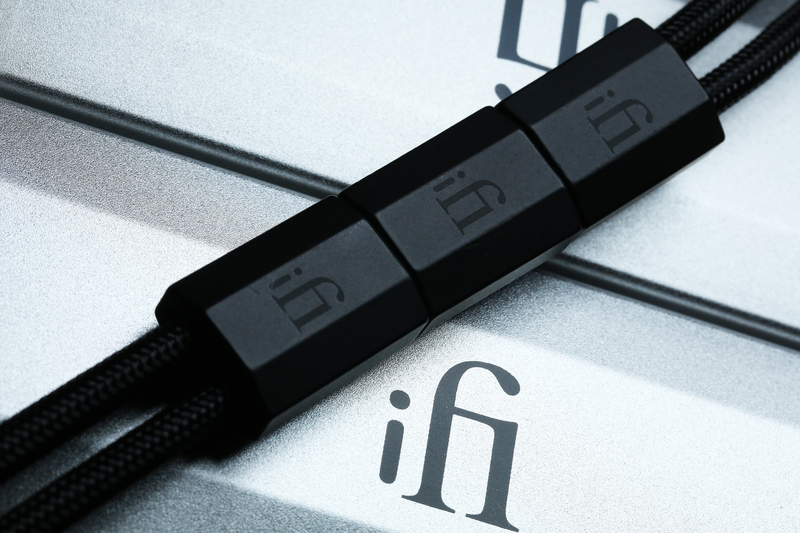 Behold, iFi Audio iUSB3.0, Gemini USB cable and iRack to make the outcome a real looker. Enjoy! Let’s assume for a second that accessories reviewed below do work indeed and each additional pushes the sound quality border a bit further. Now let’s take a look at said products’ prices. Gemini USB cable of 0,7 m length is sold for €209, whereas iUSB3.0 and iRack have €455 and €175 on their price tags respectively. Each of these products individually isn’t expensive. The last and not sound quality related item aside, but with i.e. an iDAC2 instead, this three-piece set cost €1075 more or less. Ouch. 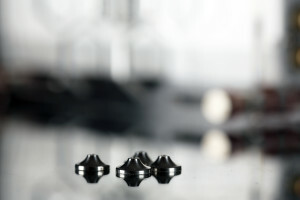 Especially after taking into consideration a fact that for this kind of dough one can pick and choose to his heart’s content in headphone integrated solutions. Why to bother with complex hardware crowd at one’s desk? Is iFi Audio trying to outsmart us audio enthusiasts, or something? Well, that’s not the case at all, something completely different and highly interesting is. 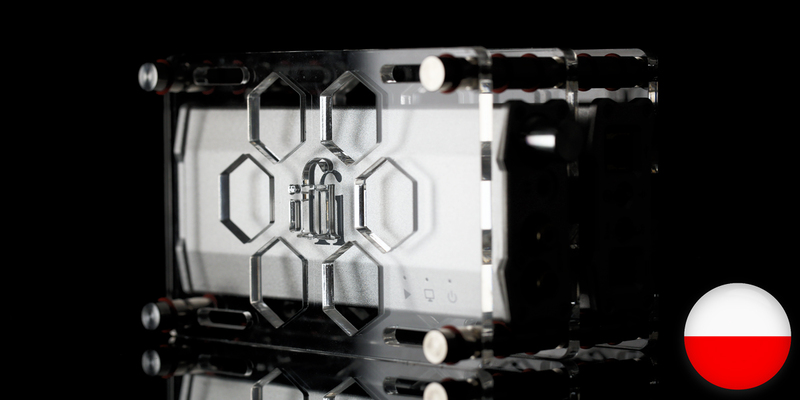 Picture this: a newbie wants to make his first audio purchase. He is already equipped with a pair of headphones, supposedly quite good. Yet he’s heard these at his friend’s place, connected to a different output device and, needless to say, the performance wasn’t the same but much better. It happens. Happily our enthusiast is willing to take part with his hard earned €500, that’s his budget. 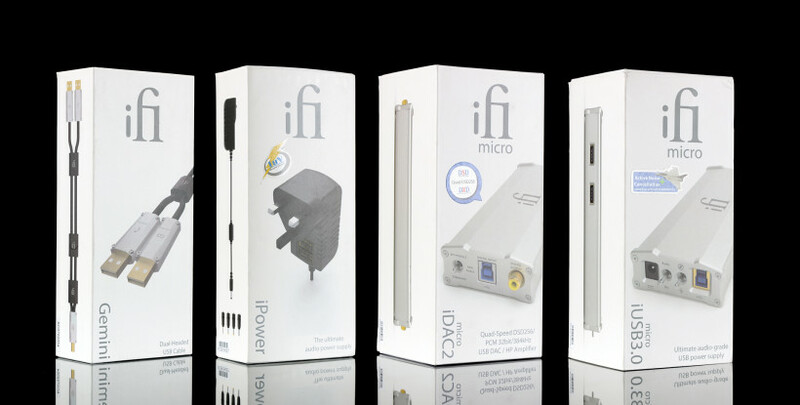 Since he’s into audio press and specific forums, hence he knows a bit already and let’s assume that a small, light and decent iFi Audio iDAC2 performer is his choice. Alright, the purchase is made, package received, unpacked, the product burned-in and listened. 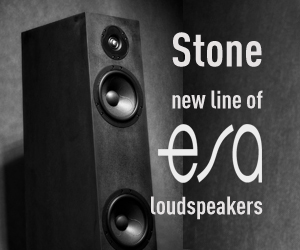 Our newbie enjoys it thoroughly, yet after three months of extensive usage he’s aware that things can be pushed even further in terms of sound quality. He knows that it’s a matter of additional resources and Nirvana heaven will be one step closer. Another research happens. Our hero is almost ready to pull the trigger on an integrated three times costlier than his iDAC2, yet for the last time he takes a look at its manufacturer’s site. 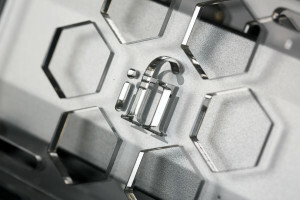 It turns out that many devices able to enhance the experience without breaking the bank are out there to be discovered. Small, yet affordable. Needless to say, iDAC2 doesn’t have to be sold for half it’s market asking. Not yet at least. 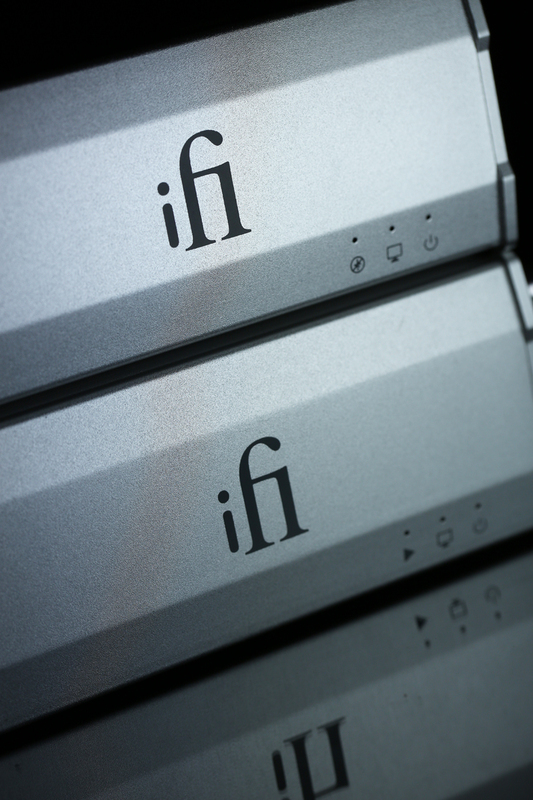 The story above paints the real and complete iFi Audio picture. It all starts from just one product, then another addition can be bought after a while and… said scenario can be repeated many times accordingly to one’s needs. 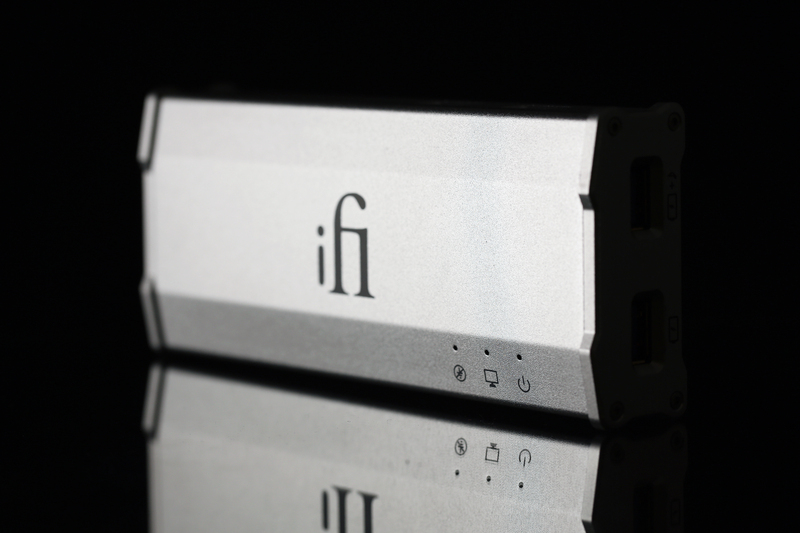 iFi Audio portfolio is complementary on many levels. 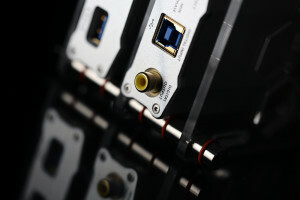 At first, the most important product is purchased usually, namely a DAC/headphone amp combo or one of the two all alone. Past accommodation period, a desire to make things even better appears. And that’s why a better USB cable is bought, USB signal has to be properly kosher, right? Right, but we’re not there yet. 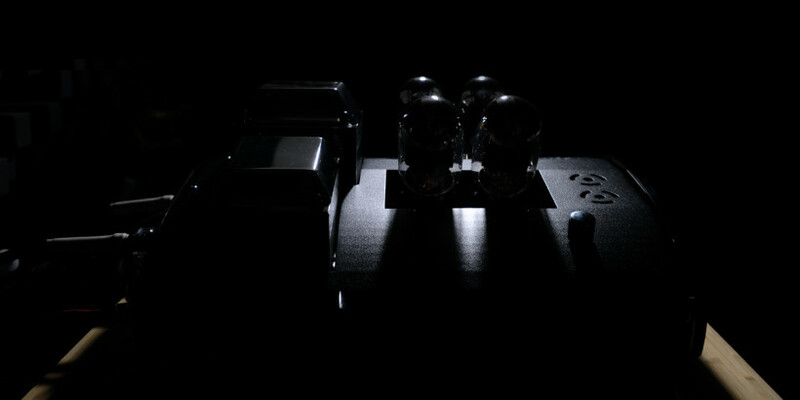 A separate headphone amplifier, even a valve buffer and a rack, which will net decently coherent visual outcome are next in line. Additions of this sort make a customer to spend money at you know which camp and not elsewhere. “Give us a chance, grab one device, play with it and if things are dandy… you know where to find us”. Now that’s a well-thought marketing case right there. It works as long as sold products do what they supposed to. To sell old equipment and purchase more expensive and better one is the most popular option. It’s safe to say that that’s the natural order of things in our hobby. 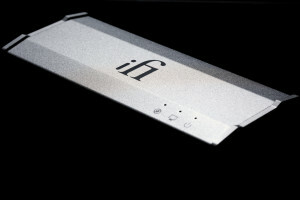 Yet English iFi Audio brand introduced to enthusiasts the new and not that popular way. Yes, a way of small steps and upgrades. I’m not saying that it’s better, worse or less complicated in comparison to a brute force approach, namely getting oneself a pricier and supposedly better audio device. 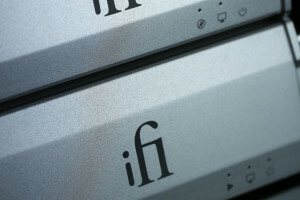 But the iFi way is different, viable and that’s good. In the end the more options are available out there, the better it is for consumers. And lastly, one has to check if above mentioned goods really do work as intended and that’s what this review is all about. Without further ado, let’s find out whether a move from a single iDAC2 upwards will make us closer to the audio heaven or not. 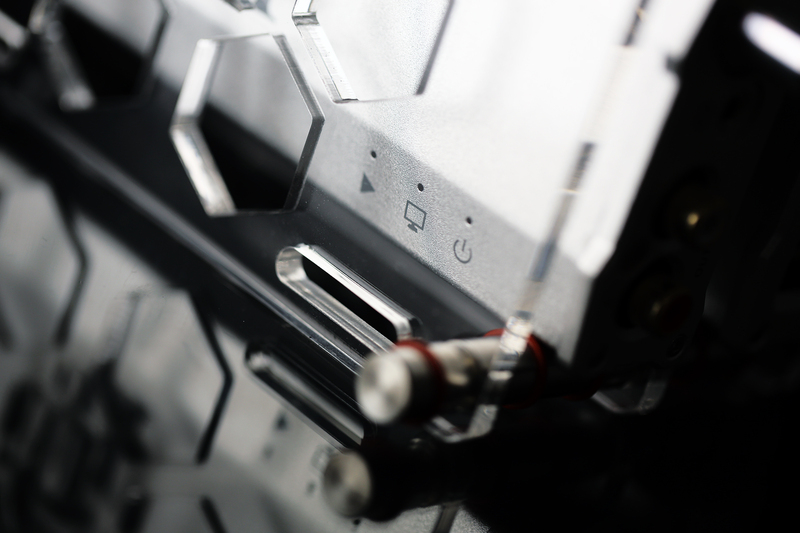 Lets kick it off with Gemini USB cable. Shielding aside (there are USB products without it), in conventional USB cables there are four closely placed veins in total. Two are responsible for data transfer and another pair handles power. Yes, each has its own isolation layer, but still these are nearby. 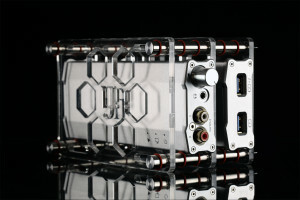 Gemini product is different in this regard, though based on a quite known concept, namely two almost completely separated data and power cables. 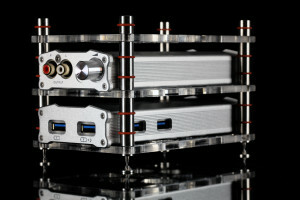 This product is finished with one USB type B plug at one end and two type A connectors of the same breed at the other. And there are twice the power cables packed inside one braid, therefore not two but four. 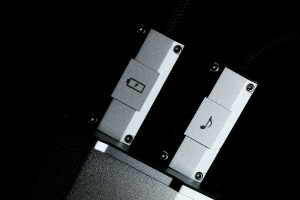 In any case, a pair of cables of the same length is attached to the same plug in twins alike fashion, hence the product’s name could be only one – Gemini. It surely makes sense from this perspective and it sounds rather nice. Usually USB cables for audio have their plugs in plastic enclosures. The same parts in Gemini are made out of aluminium, hence are very durable in the process. That’s one of the reasons why said product feels pricey on hand. 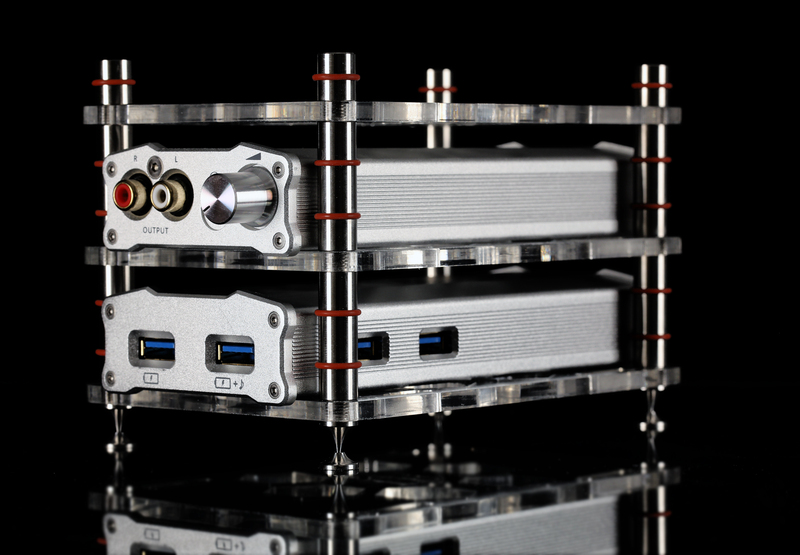 Two CNC milled aluminium shapes screwed together make an elegant, noise resistant and highly functional chassis. 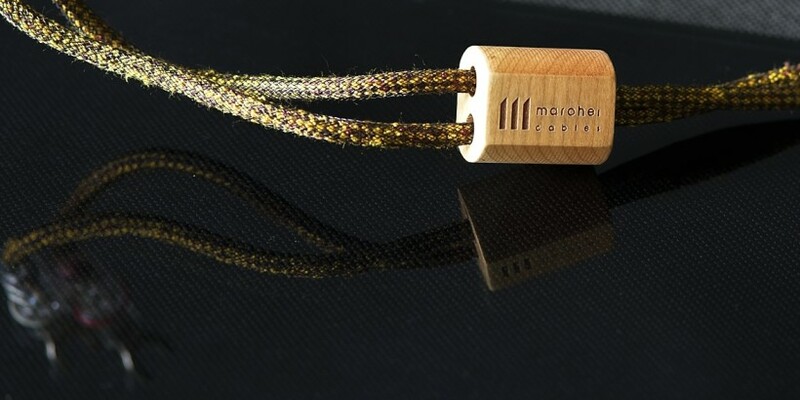 In order to fight RF noise even better, there are three ceramic dampers on the cable itself. These can be moved accordingly to one’s needs. The manufacturer suggests to experiment with the middle one, whereas remaining two ought to be placed as close to USB plugs as possible. It makes the most sense. 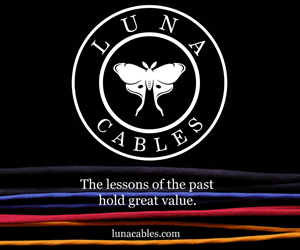 The Gemini USB cable is based on OFHC copper, double-shielded, PE isolated and PTFE teflon braided wires. 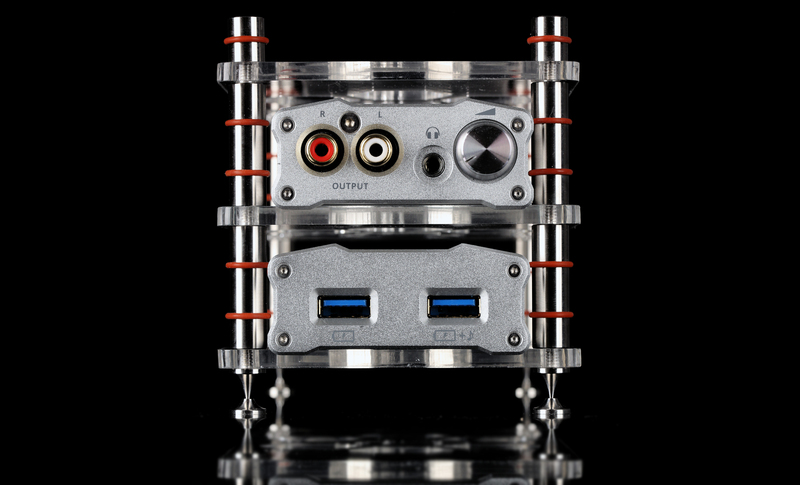 The product in practice is somewhat quirky to use, its stiffness makes connected desktop devices of reasonable weight to move with ease. 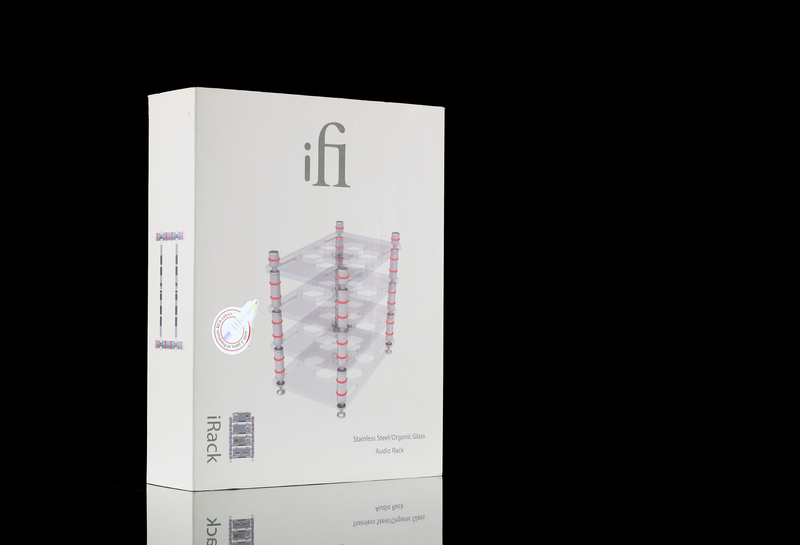 The next product in line is iRack. Let me put this as clear as possible: it doesn’t influence the sound, or at least I haven’t noticed any changes. In this scribe’s eyes this item addresses one key issue. 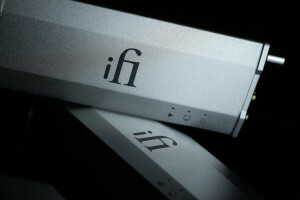 It helps to have several iFi Audio products based setup neat and tidy. Two of ’em aren’t an obstacle. Yet. But to have twice that, namely an iDAC2, an iCAN SE, an iTube2 valve based buffer in between and USB interface treated by iUSB3.0, with all interconnects, power supplies and Gemini cables? And all of these properly orderly? Now that’s a challenge. Needless to say, things will be messy eventually and iRack works like a charm here. 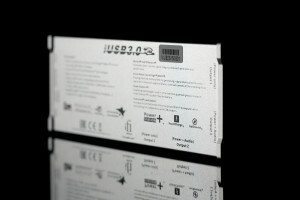 It can take care of four devices in total. And if one needs more space, to mount additional shelves is a breeze. iRack is very well-made. 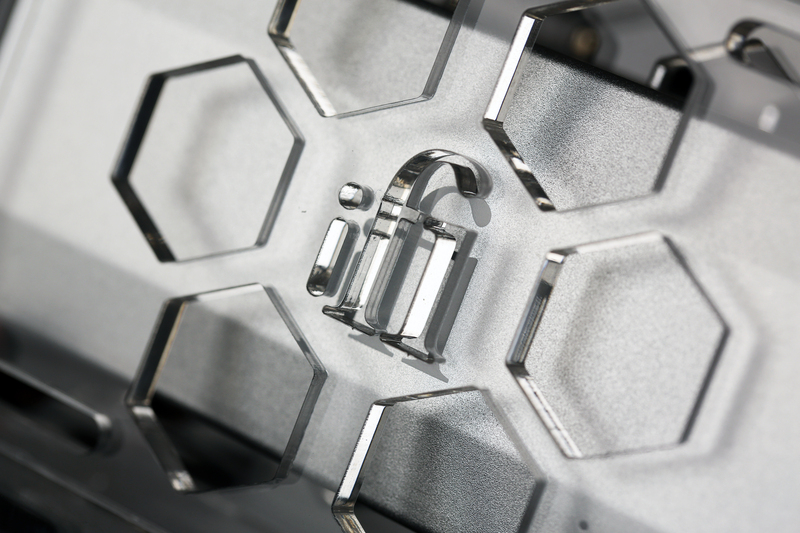 Its acrylic shelves sport hexagonal openings and finely cut iFi Audio logo. I have to admit that it looks really nice. Shelves are connected one to another via aluminium cylinders loaded with rubber o-rings. Thanks to the latter additions, each product stays in its place. The devil sits in the details, though. iRack set includes aluminium spikes with matching feet and properly rounded cylinders. These are to be mounted on the highest storey. It all clicks visually, please take a look at the pictures. One can even find a pair of decent RCA interconnects and a cable terminated with 3,5 mm TRS plugs in the iRack box, these are nice additions undoubtedly. 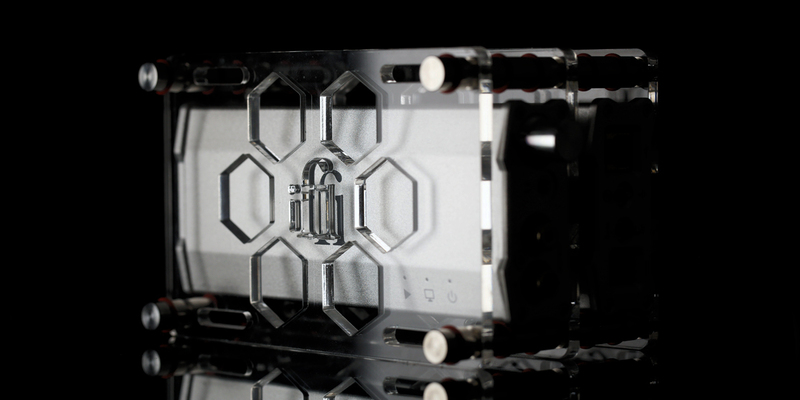 It’s worth to know that each acrylic shelf has several flat openings, these help to tame unruly USB or RCA cables nearby. In order to do so, one needs to use Velcro straps, yet these are a part of the package as well. All in all, €175 asking for a small desktop audio rack is a lot. And it is indeed. But iRack is very decently made, highly functional and loaded with lots of handy accessories. To say that it’s a mandatory purchase is an overstatement. One can get by without it. But once iRack is used, to get back to state without it is a rather painful experience. Not that long ago many people thought that not much can be done with a USB signal, that there’s no viable way to make it better. Yet years passed and a proper attention to transmitters, receivers, jitter, asynchronous data transfer and alike was given. PC based playback skeptics aside, today there’s no debate in this matter anymore. It simply needs to be taken care of if one wants to squeeze every bit of a performance out of his setup. 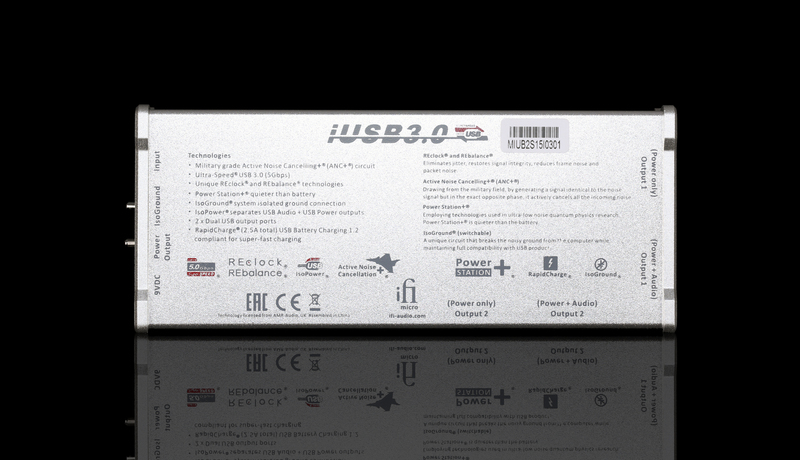 And iUSB3.0 is one of many devices which address multiple USB related issues. Its main order of business is to combat noise, provide clean power to this type of signal and to regenerate it in proper fashion. 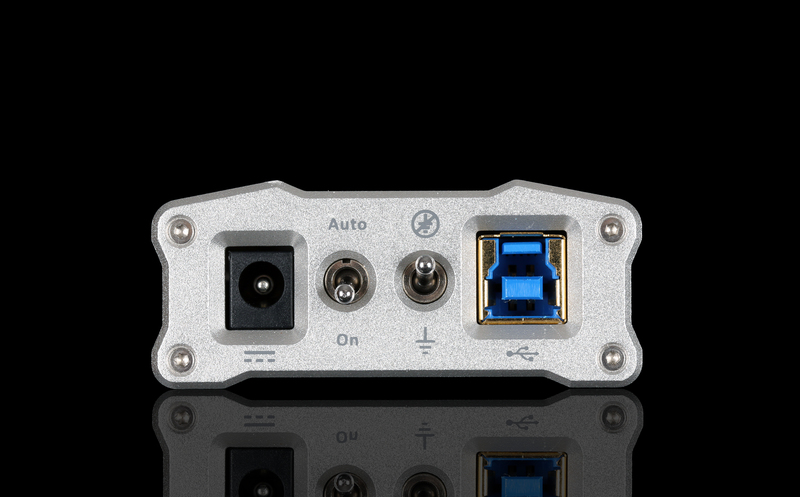 iUSB3.0’s place is between any USB type B loaded DAC and a transport equipped with this type of an output. 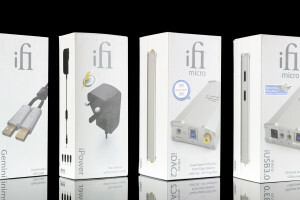 iFi’s product takes from the former only data stream, it makes its own power from the scratch. 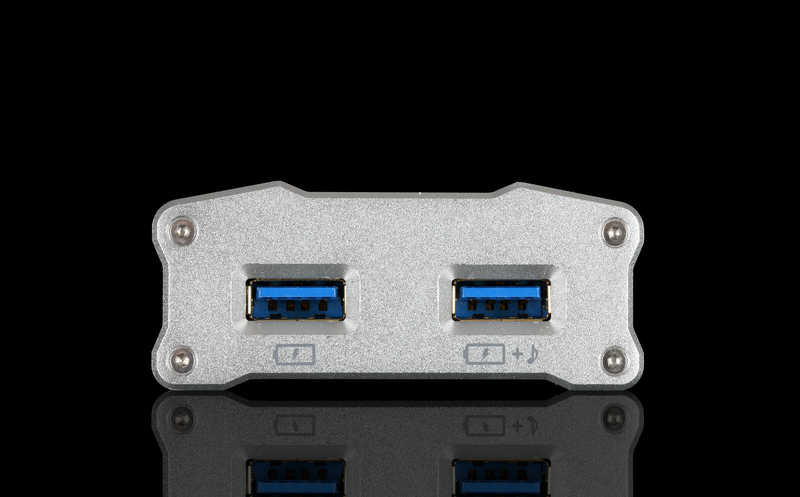 iUSB3.0 sports its own word clock and received data packets are buffered and reclocked or, to make it even more understandable, made anew. PC based power supply is ignored and the same story is with grounding. 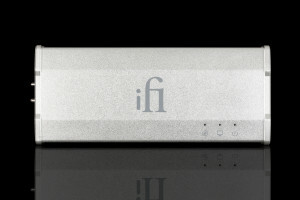 In theory all of this makes sense and said things are heavily marketed by iFi Audio on the forums. 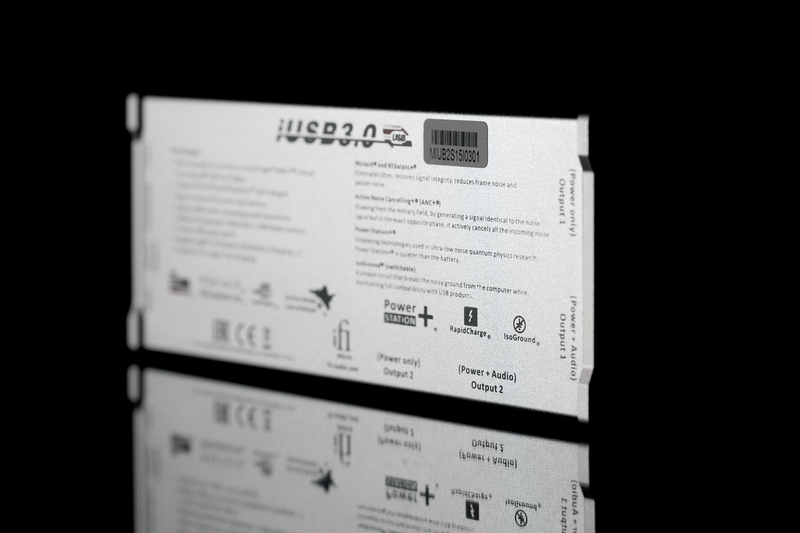 If one fancies key words based marketing, all needed information are to be found there and on the manufacturer’s site. 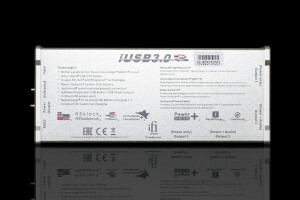 iUSB3.0 looks like a typical iFi deck from the micro family. 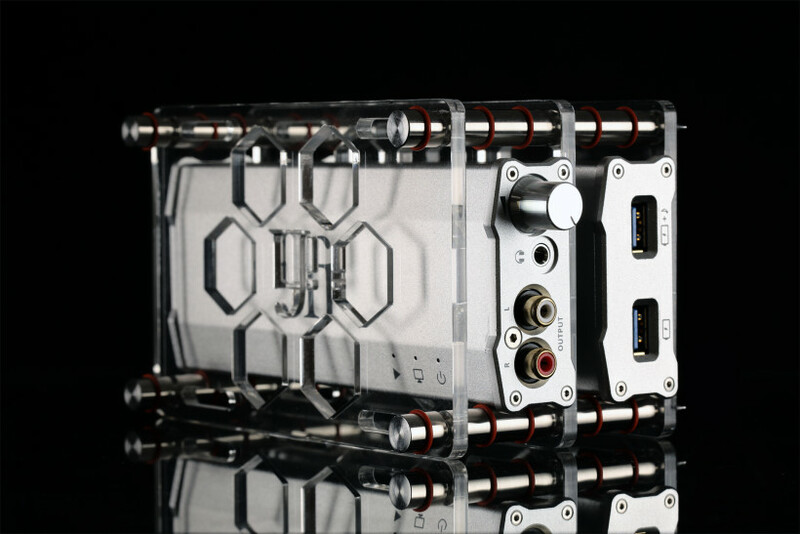 The enclosure is aluminium, USB type B and power sockets are on the back. Two knobs in between are responsible for grounding and power lift. 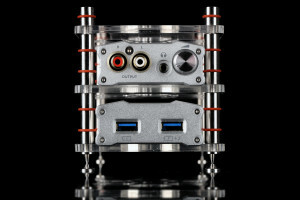 The product’s front sports two USB type A outputs and another pair of the same sort sits on our device’s right side. 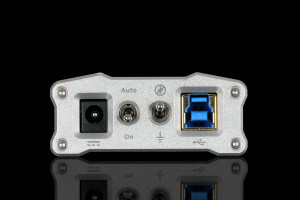 Said outputs are described as ‘Power’ and ‘Power + Audio’. If one is equipped with two-headed USB cable, the former should be used, conventional ones are meant to work with the latter. Why two type A pairs? Well, one is used to send a signal to a DAC, whereas to the latter i.e. 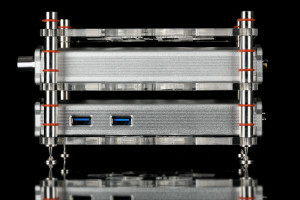 a HDD can be connected. To check vanilla iDAC2 performance was the first order of business. In order to do so, said source was connected to a laptop via regular USB cable. Theoretically speaking, that should be the worst case scenario sound wise, even despite the fact that iDAC2 is a very decent performer. 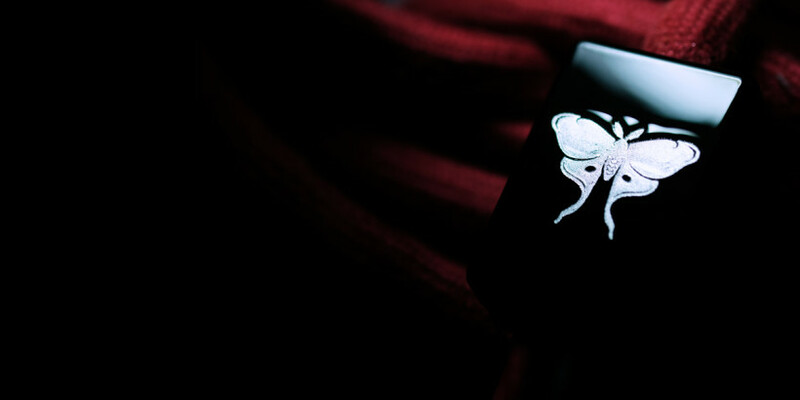 To get deeply familiar with its sound was the key, this product was used extensively for several weeks. Additional accessories came into play after that period. 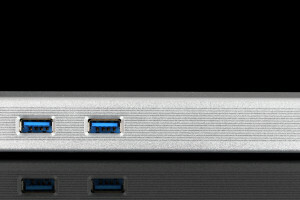 At some point, Gemini USB cable was used instead of a regular one, without any additional products. Hence the laptop > Gemini > iDAC2 setup was in order. In short, the outcome wasn’t of a night and day difference. Not at all. Audible differences were of subtle nature, at times nothing happened at all. This scribe was far from statements that the Gemini cable simply doesn’t work. 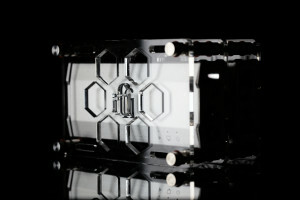 The thing is that this product brings more to the table in more complex company, we’ll get back to this topic in a bit. Subjectively speaking, USB related accessories are complementary, each on its own can can’t do much. That’s my experience. 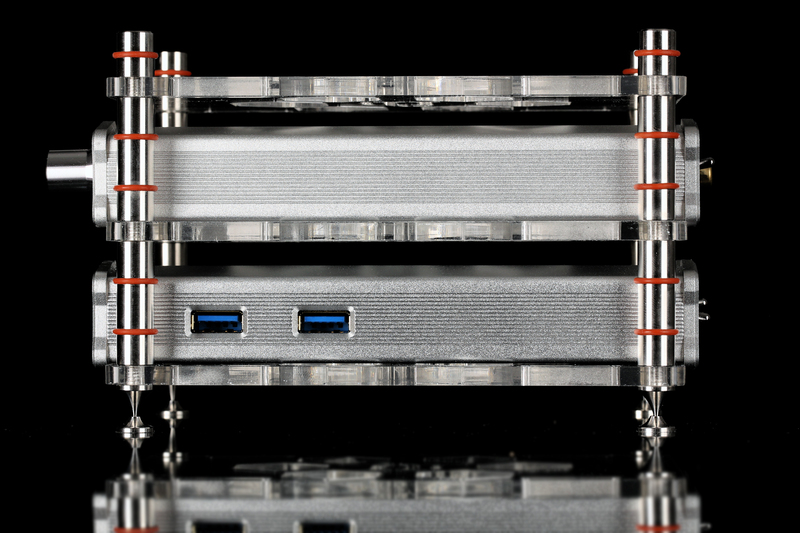 And to follow in that vein, Gemini goes online once iUSB3.0 is added to the mix. From this point onwards cogs of our USB mechanism really start to move. Anyway, the differences with the Gemini in the audio chain, when audible, were in resolution and precision spectrum. The image in front of a listener became more clear. Not sharper, but clearer and all of that with no drawbacks. Yet these aspects aside, nothing major or groundbreaking happened. To summarize, if yours truly had to spend his money on a Gemini USB cable to match iDAC2 and a laptop, he’d rethink this decision at least three times. Yet at the same time the outcome thus far wasn’t surprising at all because of one single reason. When twin-headed USB cable of any sort is used, it’s good to deliver power to a DAC’s USB input not from a transport’s end, but to use a battery instead… or something of iUSB3.0 sort. The gist is that in order for Gemini and the lot to be effective, delivered power has to be of quality. In audio it’s about being as much PC independent as possible after all, right? In the end, the Gemini USB cable turned out to outperform generic product of the same purpose, which I consider as a mild success. 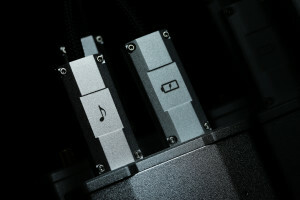 Past evaluation above, iUSB3.0 was added to the audio chain. Here’s where things became intense. 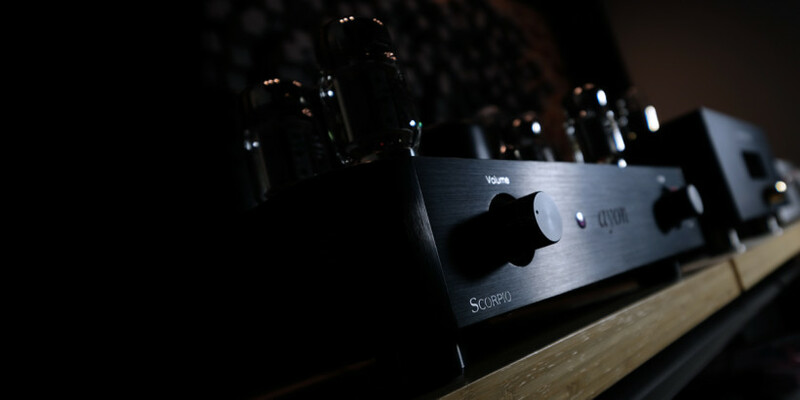 Tonal balance shifts or thickening/ liposuction of the sound is how many enthusiasts describe additional boxes’ input in the audio chain. 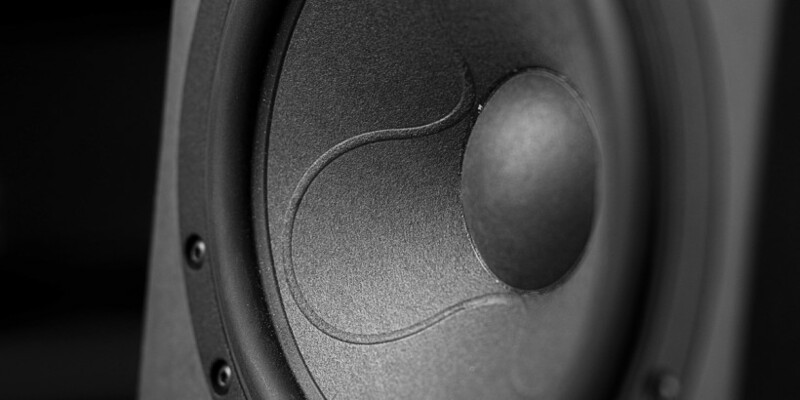 Among other things, that’s often the case when speakers’, amplifiers’ or sources’ swaps are on the table. 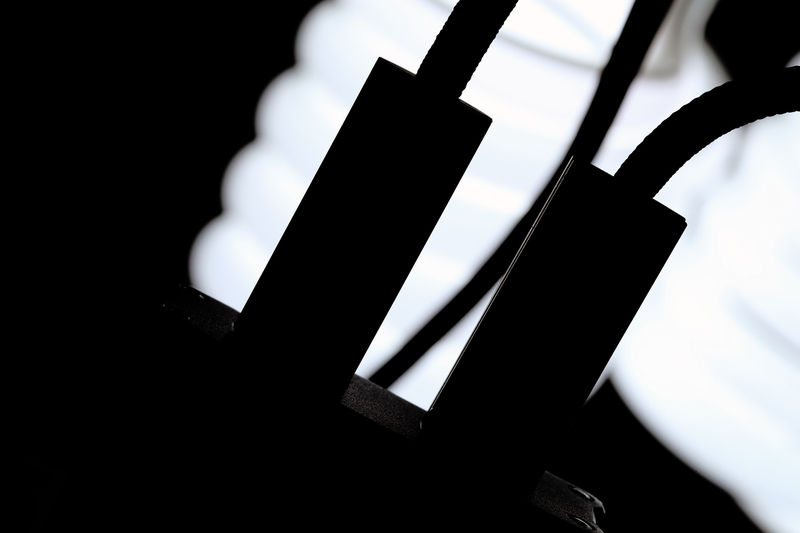 Though yours truly believes that something else happens when one starts to tinker with power supply in general. 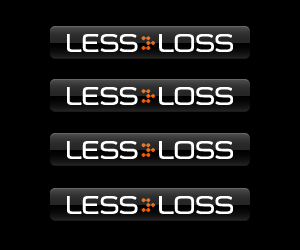 This opinion is based on my own adventures with both desktop and standalone setups. In short, iUSB3.0 made the sound more civilized and in quite an obvious way. There was no room to ask oneself what’s what, the delta of changes was this audible. The imaging got improved, layers’ differentiation became easier. Smoothness was elevated by quite a bit as well and the outcome was more resolving. The so-called background became dust-free and darker in the process. 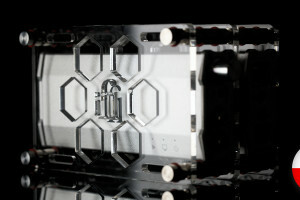 This led to tasty nuances and instruments’ contours more present and refined respectively. Saturation, tonal balance and dynamics were untouched. 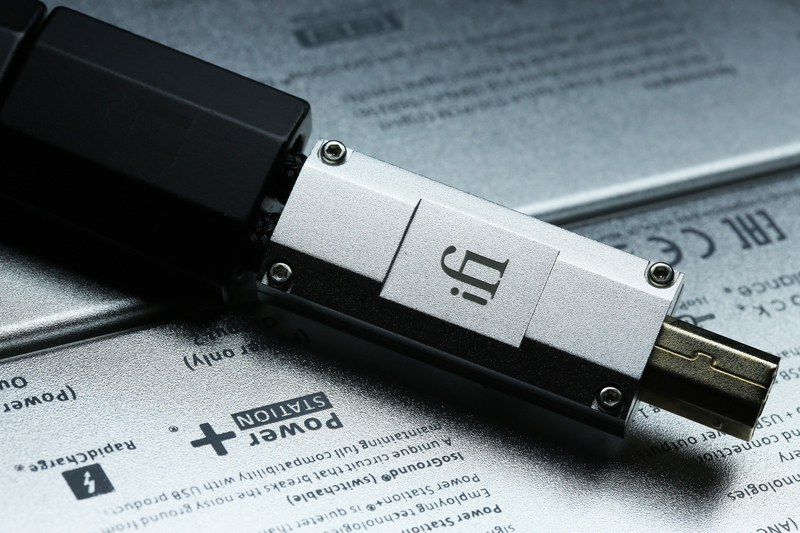 It’s safe to say that after iUSB3.0 addition, the music was served in more posh, dignified, refined and – what the heck – audiophile way. To make a proper point, iDAC2 loaded with a generic USB cable was was more coarse, loose and grainy. To conclude, fronted by above mentioned iFi companions, said source played not slightly, but definitely better. It morphed into a higher league performer. The sound was more enjoyable in general and the better recording was on, the more audible changes described in this chapter were. I liked it a lot. This scribe wanted to make this review as compressed as possible. Half of its current size presumably would have been sufficient. There aren’t that many things to write about this time, in above mentioned circumstances the outcome is simply better and that’s that. Yet after several back and forths a listener becomes fully aware of what’s going on, he acknowledges how nicely all pieces of our puzzle work together, coexist and how refined outcome is delivered in the process. To witness all that, affordable Meze 99 Classic over-ear headphones and iDAC2’s headphone out were sufficient. 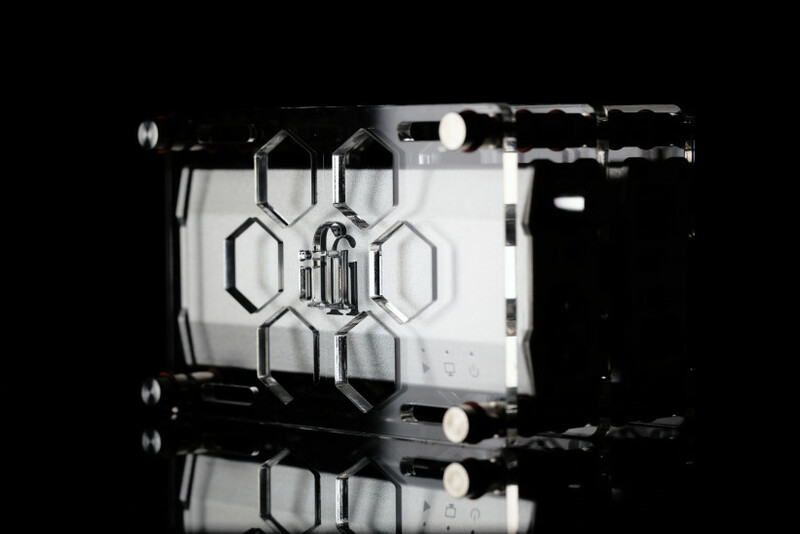 Heck, if this environment gets the job done, namely very audible, it’s scary to think what would have happened with Trilogy 933 headphone amplifier and HiFiMAN’s HE-1000 planars instead. Yet in order for this report to be complete, at least one additional setup had to be exploited. Past the desktop evaluation, next step was obvious and surely made for a reason. 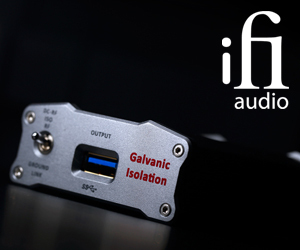 LampizatOr Golden Gate (4 x WE101D-L + KR Audio 5U4G Ltd. Ed. ), Trilogy 925 integrated and Boenicke Audio W8 speakers were on. So why the hell yours truly decided to use his big audio rig? Well, in my work I use Foobar2000/jRiver loaded laptop. It’s safe to say that this highly mobile platform is the weak link and to a degree that’s factually correct. Yet my reference rig, even despite of not being in 100% kosher, shows the delta of changes like a champ and with no excuses. It simply does the job and power related tweaks are merely one of many examples. With iUSB3.0 and Gemini cable between my DAC and a transport, lots of good things happen. Yes, without English additions the outcome really is up there sound wise. For this setup’s coin it should be. 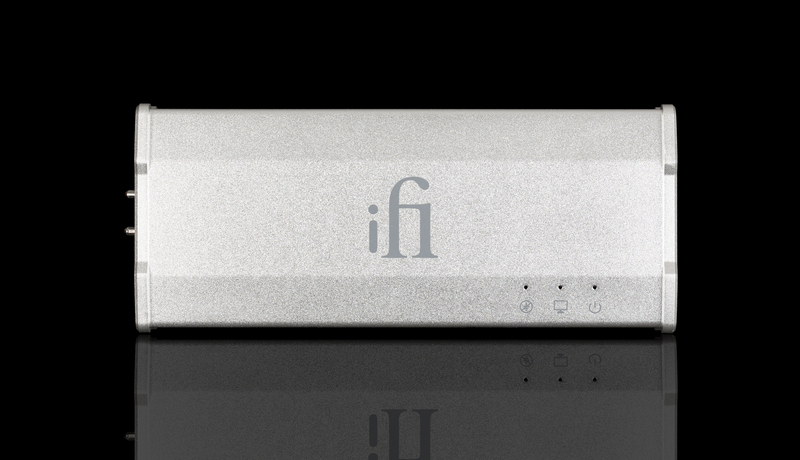 Yet once iFi Audio products are a part of it, metaphorically classy and culturally looking outcome puts on even poshier suit. In short, the story from the desktop environment repeats itself. A bit more air here, less grain there, even smoother highs, more calm approach when needed etc. and… highly physiological sound is the outcome. Colloquially speaking, there’s more music in music. In the majesty of each vital and costly part of my reference rig (€55’000+), is it reasonable to spend ‘mere’ €664 and get away with an improvement of caliber this big? Yay or nay? And that’s the question I’ll politely leave you with. 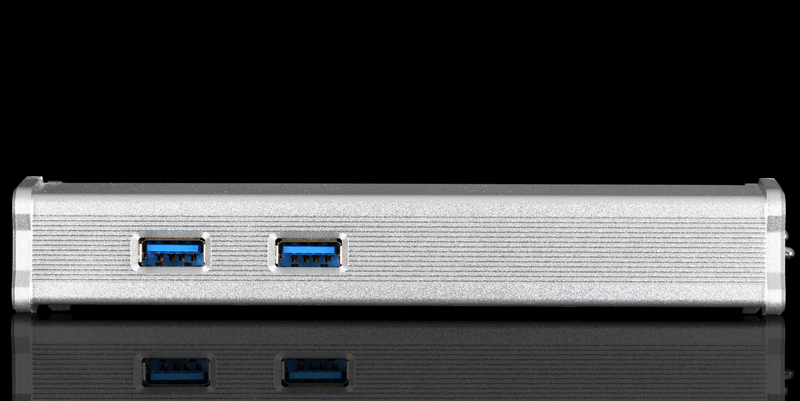 To at least try iUSB3.0 and Gemini combo is something this doctor strongly orders. It matters not how expensive a target setup is. The only necessary part of this puzzle is a PC based transport. 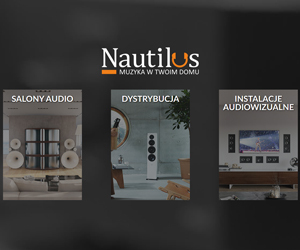 I’m deeply convinced that many audio enthusiasts who’re willing to try described products within their own four walls, will be very pleased with the effect. Price-to-performance finishing words are off the table this time, said matter should be very clear at this point. ‘Till next time.